The Dead 2009 tour is upon us, and deadheads all over the country are gearing up for the upcoming musical adventure. Having had the pleasure of being interviewed by Bill Kramer, journalist for The News Leader, a newspaper serving the Shenandoah Valley, it got me thinking about the events that are about to unfold. Portions of the interview were used in the article, The Dead to conjure their magic in Charlottesville. And this left me with a number of thoughts still bouncing around my head, many of which did not find their way into print. I think folk’s anticipation of the upcoming tour of The Dead is mixed with excitement and melancholy dismissal. And I’ve found no way to personally come out on one side of the fence or the other. Those too young to have seen Jerry and the true Grateful Dead are blessed with the real chance to hop on the bus (2009’s version of it, at least), and experience not just the potential for great music, but the entire “scene” from the parking lot and beyond. There’s no denying the power of tapping into a sea of people who all seem to “get” what you get. The Dead culture lives on, and that’s very good. Yes, it has changed dramatically over the years. But we were talking about the way it was changing dramatically way back in 1989 too. And they were saying similar stuff in 1979, and probably 1969. Personally, I lean hard on the melancholy side of things. I miss Jerry Garcia. A lot. For those old enough to have been to shows while we had Jerry, the Dead 2009 tour holds the promise of our “scene” coming together again. However, most deadheads will go through some resetting of expectations due to the absence of Garcia, and that itself can be a softly sad experience. It’s a mixed bag for sure. As I was quoted in the article, in the end, if you focus on the here and now, the tour holds the power to connect musician, music, and audience in that wonderful dance the Grateful Dead did for so many years. I’d rather have them out there playing, than not playing at all. Bill asked me if all the musical incarnations that the surviving members have been exploring post-GD would impact The Dead on the 2009 tour. Without a doubt, they will. They can only enhance things. The members of the Dead follow their musical passion much like Jazz artists. Every night has to find some inroad into discovery and growth. You can’t do that without drawing on what you did last night, last week, or last decade. Sure they may be cynically thought of as the best Grateful Dead cover band of all time, but they are still more truly artistic than a lot of what’s on the road these days. On the subject of the Dead and their commercialization, the reaction to ticket prices for this tour sees opinions vary widely. Are they sellouts? Are they capitalizing on the past? Can we blame them for that? It goes on and on. Despite all the ups and downs around this, it is clear that the power of catching the closest thing to a live Grateful Dead show is mighty. There’s no denying the call down by the river side to hear Uncle John’s Band one more time. And perhaps The Dead will bring Summer on just a little sooner for us all. It’s early April here around Chicago, and I think I can speak for most of us when I say we’re all feeling pretty overdue for the change of seasons right about now. I too have mixed feelings about the "Dead" tour . I almost would rather see Phil & F./Ratdog etc., than a band that reminds me what is lost . The surviving members have come up with some interesting music, for their new bands, that is different that the "old band" : Second set style jamming in the first set, varied set lists, a "tighter" sound , a move away from the country/blues feel toward a harder, more fusion sound (Phil), etc. I enjoy what they are doing because it is not "The Grateful Dead" . By touring as the "Dead", it is hard to not look for the missing member . I imagine they will create some great music with this unit, and I wish them well... But damn I miss Jerry . does anyone remember pigpen? he died in '73 and "the music never stopped"! he was basically the leader of the band,but not THE band;just like jerry wasn't either in my opinion,no offense.but think about it,if they quit in '73 after pig died,you would'nt ever have heard the beautiful sounds of terrapin,row jimmy,unbroken chain...the list goes on.the boys have also written wonderful new music since jerry has passed,which we also would'nt have heard otherwise.i say,more power to 'em! got my tickets for nassau,hartford,and the jersey shows and i can't wait!! Pig,Keith,Brett all contributed to the sound. I wonder if a Brett song would ever be included, personally I missed that special something that Brett could do on them keys, over a decade with the band and he was still the new guy to so many. 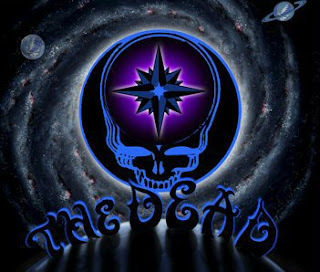 I see the Dead as the best Grateful Dead cover band around.. If you were not able to catch the boys prior to 95, this is as good as it gets kids... why miss out on the good vibes??? Having been to the Greensboro show last night, let me say it was HOT. This tour is FOR REAL, and while Garcia is in every heart and mind (He's Gone->Touch of Grey), the new guys are staking their place and the old guys are reinvigorated. For his part, Warren Haynes somehow managed, at various times, to evoke not only Garcia but also Pig and Brent, AND to be himself. Frankly, last night in Greensboro was a better show that many of those Garcia played, especially in the last couple years of his time. And by the way, the audience tape of the Greensboro show that's on the net now, while fun, does NOT capture the snarling, snaking rhythms the Devils were beating out for much of the night. Please, see this tour for yourself! Nice site. Just dicovered it. As a longtime Deadhead who, sadly, never had the money to see Jerry with hte band, I have no desire to see this band and, for me, th GD died when Brent passed. Clearly, after Brent, Jerry lost his heart. So clear to see that from the awful tapes post Brent. that being said, I got the SBD of the opener and thought it was awful, but that 4/14 show was VERY strong and I am getting the SBDs and have enjoyed everything after the opener. NO, it is and never can be the GD we all miss and love but i guess it's worth going if you got the cash and don't mind the dumb hippies (which I do! ).